Satya Nadella, CEO of Microsoft, getting ready for the test. Microsoft will be holding the unveiling event of ” Windows 9 ” in San Francisco, shortly today. A Technical Preview will follow. Expected additions in this technical preview are a ‘new start menu’, ‘ a virtual desktop feature ‘, and a ‘notification centre’. A new unified app store is also on the cards. Windows 9 is the outcome of Microsoft’s internal project “Threshold”. Satya Nadella is in India now, and he won’t be physically present at this unveiling. 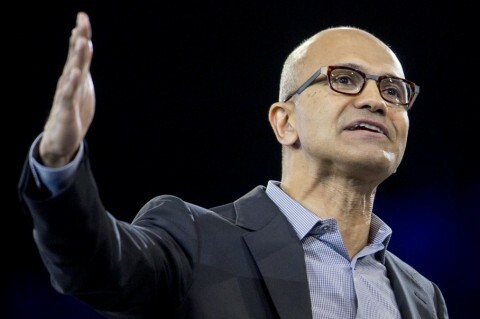 Satya Nadella, CEO of Microsoft, is a man with a mission. After taking over as CEO in February he specially made a reference to ” Reinvent Productivity ” as his goal. Microsoft which made two upgrades in the last two years to its Windows and which is used to bringing new versions every three years earlier is on course to make a ‘game changing’ move with this unveiling. 1. Windows 9 is sure to signal Microsoft’s transition from device orientation to services orientation across all its products. 2. Windows 9 will possibly also mark its ‘innovation and creativity’ growth just as Excel did in the 1990s. 3. Windows 9 will also possibly raise its Brand Equity, and be a step in the direction of bringing its glory back again. CEO Satya Nadella is testing the waters of support services with Windows 9, for sure ! P.S. : I write this after Microsoft unveiled its new software “Windows 10” skipping/overlooking the much expected and pre-release discussed number “9”. May the ‘ Windows 10 ‘ sit over others in the competing category with ’10 tonne weight’ and mark a new chapter in its history !